Am I crazy? Maybe. Would I like to be someone else? Not by a longshot. It’s a great time for me to be alive. For some time now, I’ve been noticing this slow churn in my life. I’m beaming with excitement just thinking about it. It’s kinda like watching a tornado form: you know there’s something brewing, but you don’t know when or exactly where it will happen. Growing up in South Carolina, I can remember being able to smell the rain minutes before it came. Although I couldn’t predict exactly when it would occur, I still could sense it’s arrival. Along with that, I’ve realized that the rainstorm has always been a rainstorm. Think: Does the thunderstorm become one just as you feel the rain atop your head? No. It’s always been a storm. You may be thinking,”Doesn’t the storm develop over time?” I’m glad you brought that up because you’re right. Just like the storm needs time to develop into one, we also need time to develop into the people we are to become. Does that mean you’re not currently the person you are to become? Not a chance. 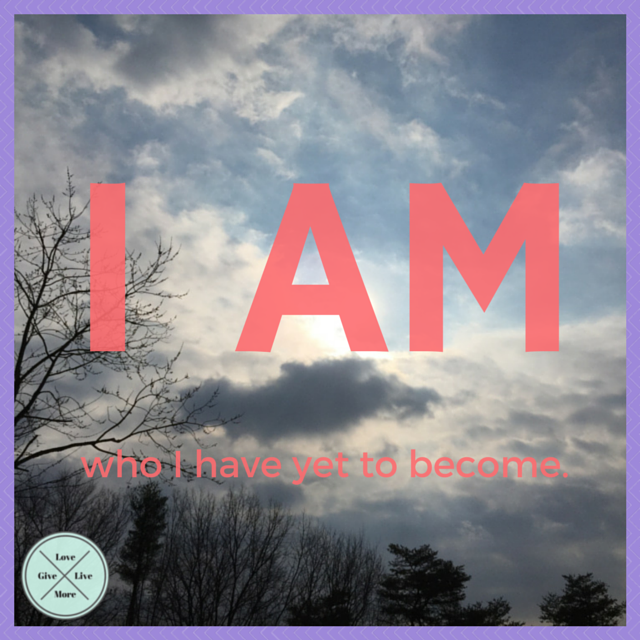 We are already who we have yet to become. If a prophet came to me about four years ago and said,”One day, you will be a writer,” I probably would’ve laughed. Alas, here I am. Writing. For nearly four years. It’s crazily-amazing (yes, I just made that up)! So: Am I crazy? Probably. Would I like to be someone else? Yeah: The person I have yet to become. But not right now. I’m enjoying the journey. It’s still an awesome time for me to be alive.